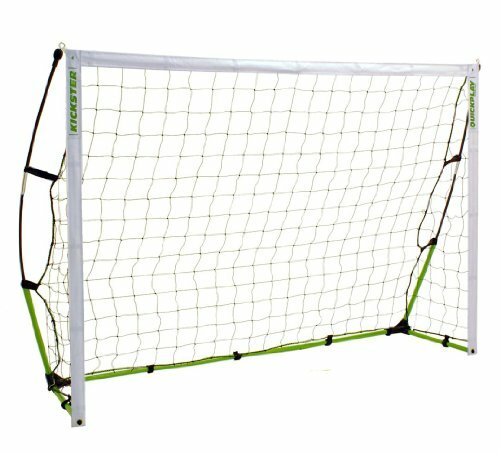 You are here: Home 6.5' x 4' Kickster Portable Soccer Goal - 2 Min Set up - Back Yard, Park, Vacation or Training - Play Anywhere - Recommended by USA's BRAD FRIEDEL! The World's Most Portable Soccer Goal. Endorsed and used by Team USA's Goalkeeper Brad Friedel. Kickster is the perfect soccer goal for the garden, park, training or holidays. The only soccer goal availible which is truly portable, quick and simple to set up, Kickster is ready to play in only 2 minutes! Kickster is also lightweight, at only 1/4 the weight of other goals on the market and it comes in a small, easy to carry bag. Ideal to take with you wherever & whenever you want to play. The lightest, quickest to assemble real goal of its size- anywhere. Not convinced? watch videos of Kickster in action on YouTube by searching for Kickster.